Yoga is generally considered as a gentle and holistic approach towards fitness and it is also very true, but it doesn’t mean that you cannot burn 500 plus calories by practicing yoga. If you are not happy with the calories burn by regular practicing of yoga, then you can make some minor modifications to your yoga routine. If you want to burn 500 calories in 20 minutes, then it is a very unrealistic approach. Any workout takes time to affect your body and so does yoga. So try to double your exercise duration like from increase 30 minute session to an hour or if it doesn’t fit into your schedule then follow 30 minute session twice a day. If you are following a type of yoga for a long time then now is the time to change it a little by including some other types also. This is because your body has adapted itself according to your exercise regime and you can enhance the calorie burn by performing different kinds of yoga like Hatha yoga, which can burn 200 calories per hour or Bikram yoga which can burn 500 calories or more. Variety can give you desired results. You can select yoga poses which involve more dynamic movements like sun salutation which takes 24 poses to complete one set means 12 poses for right side and 12 for left. One set of this exercise 2 round (one for left and another for the right) and each round burns calories up to 13.90. Therefore, you can easily lose 500 calories easily just by doing 18 sets (36 rounds) of sun salutation daily. 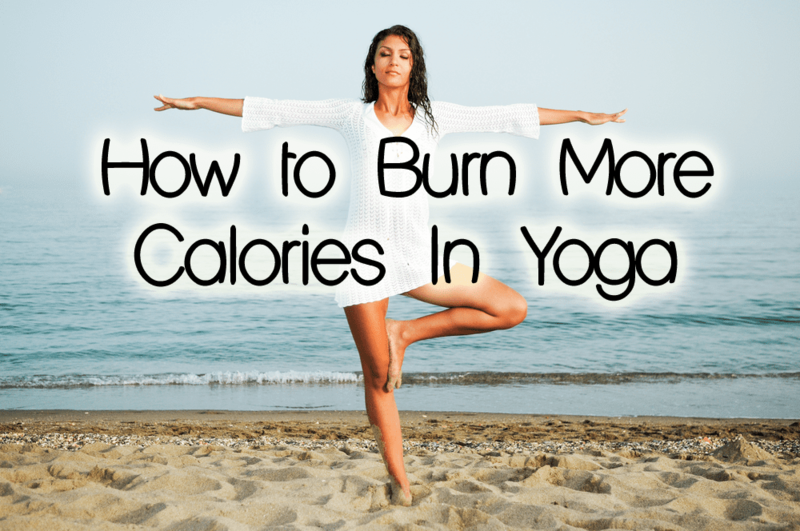 Sun salutation followed by other yoga poses can further enhance the calorie burning process. Dynamic poses are very beneficial, but poses which strengthen your arms, legs and core helps you in building more muscle mass which means less deposition of fat by the body. Exercises which increase your lean muscles also boost up your metabolism means enhanced and efficient calorie burning by the body. These are some minor changes which will help you in getting rid of the extra calories and makes you fit while shaping up your body. Let’s check out the yoga poses which can burn out 500 plus calories in a day. Stand straight and press your palms in front of you as doing Namaste. Breathe normally and meditate for a while. Raise your hands up in the air with palms still pressed to each other and above your head. Stretch your body and bend your body in an arched position. Disjoint your hands at palm and keep them stretched on the sides above your head, palms facing forward. Bend your upper body with stretched hands in front of you to touch your feet with your fingertips. If you cannot touch your feet, then place your hands on your shins. Bend your right knee in front of your chest and stretch your left leg behind you by balancing it on the toes. Place your hands on sides of you, palms touching the floor. Lift your head in an upward direction. Lie upon your stomach and stretch your right leg behind you similar to your leg left while balancing your upper body stretched on your hands. Uplift your middle part of the body at hips in the air and thus making a “V”. Bring down your raised hip in such a way that eight parts of your body which are chin, chest, two knees and foot touches the floor. Lie flat on your stomach, but keep your head and chest elevated in the air by balancing it on your hands, palms should be in contact with the floor. Your legs should touch the ground while your head should be lifted towards the sky. Repeat the first five poses in reverse order after the cobra pose and thus you will complete one round. Switch the side to complete another round and finish a whole set. This exercise targets the fat deposits on the arms, legs, thighs, shoulders and back. It also treats the back muscles and enhances the stamina. Stand straight and raise your hands while stretching them above your head. Press your palms together. Bring your right leg in front of you and left leg behind you. Turn your torso to your right side to stretch your abdominal muscles. Hold this position for 30 seconds. Switch the sides and repeat the steps. MUST READ Yoga for Beginners - Why do we do Yoga? This exercise also targets the same areas, like the first one, but in a different way. Stand straight with feet apart and open your arms besides you, palms facing the ground. Take your right leg forward and bend the knee perpendicular to the ground. Stretch the left leg behind you and balance it on the toes. Hold this pose for 30 seconds and then return to the original position. Repeat the step after switching the side. It is important to note down that burning of calories depends on the speed and frequency of practicing a pose so the more you practice the more you burn calories.